A Nigerian lawmaker has given details on why 84 senators accompanied the senate president Bukola Saraki to his hearing at the Code of Conduct Tribunal today, October 21. Speaking to Naij, the senator representing Kogi West senatorial district in Kogi state, Dino Malaye, who was among the 84 senators said they (lawmakers) believe that the attack on Saraki is directed at the National Assembly. Malaye said although solidarity and support for Saraki could be seen as a reason for the invasion of the CCT by the lawmakers, he said support for the institution was the priority. “Yes, we were there in solidarity and support for him but more importantly we were there to defend the attack on our respected institution,” Malaye said. 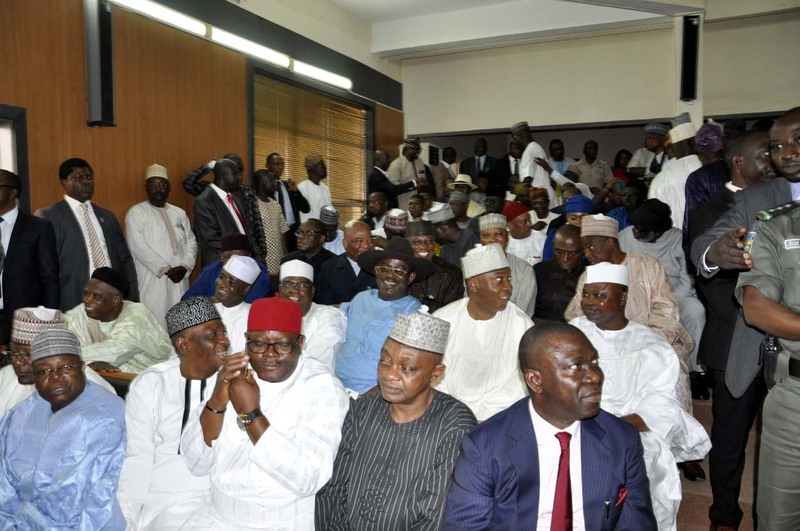 Today at the tribunal among the senators who escorted the senate president include: his deputy, Ike Ekweremadu, Stella Oduah, Samuel Anyanwu among others. Saraki had been arraigned on September 18, over allegations of corruption and false assets declaration before chairman of the tribunal Umar Danladi. He was granted bail on self recognition after failing to appear before the tribunal twice.